The Department of State announced on Thursday that the United States will withdraw from the United Nations Educational, Scientific, and Cultural Organization. 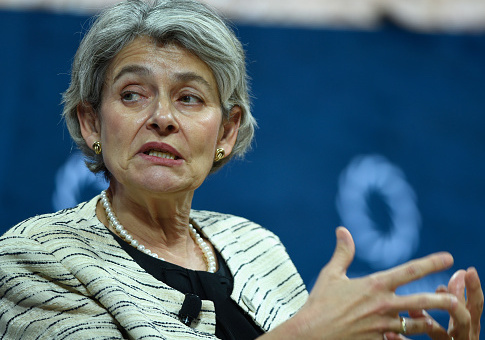 As part of the decision, the U.S. notified UNESCO Director-General Irina Bokova of its intent to withdraw and become a permanent observer of the body instead. "This decision was not taken lightly, and reflects U.S. concerns with mounting arrears at UNESCO, the need for fundamental reform in the organization, and continuing anti-Israel bias at UNESCO," the Department of State's press release said. The organization has a long history of taking anti-Israel measures, and supporting resolutions against the Jewish state. One such measure included demanding Israel vacate Jerusalem as its capital city. As a permanent observer to the organization, the U.S. would still be able to voice its opinion about matters to the body, but not vote on issues as a member. The United States will remain a member, however, until the withdrawal takes effect on Dec. 31, 2018. This entry was posted in National Security and tagged Israel, State Department, UNESCO, United Nations. Bookmark the permalink.